Well…here it is!!! 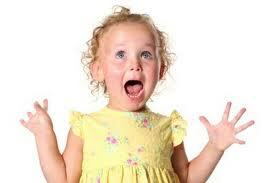 I had been looking forward to this day for at least a year and a half!! Today there were no costume alterations — the weather was going to be more along the lines of what I’d expected the whole weekend to be! There was a slight chance of some rain, but…well, I’d deal with that if and when it happened! Before bed on Saturday I had put my things together in my gear check bag so I’d be sure to have everything I needed, set the alarm and hit the sack! 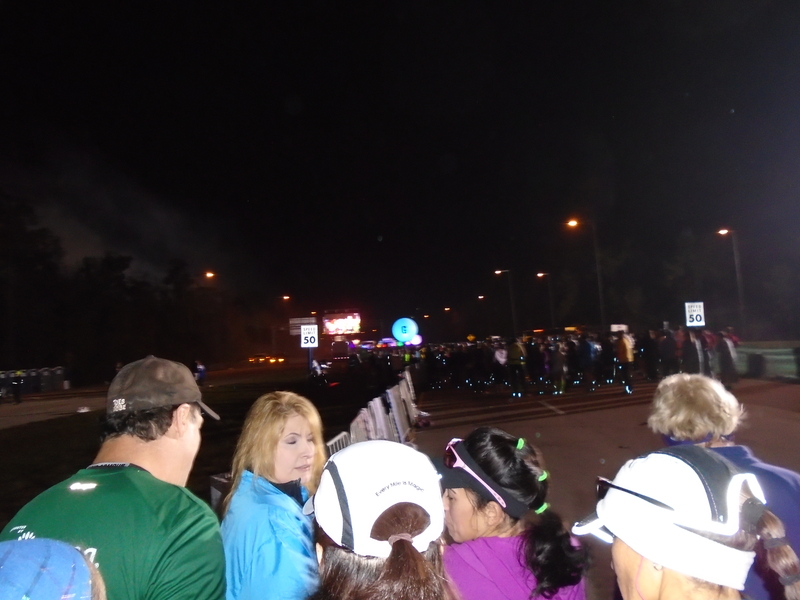 This was the early crowd…some of us, or, ME, wanted to get to the corral quickly! and heading to the corral! We waited for an hour again – at least this time we knew what to expect! Then it was go time! 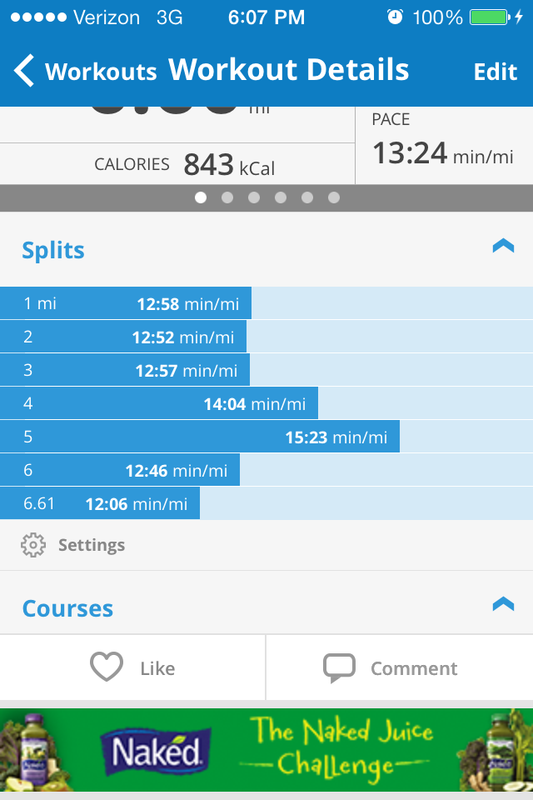 I had trained using 1:1 intervals and didn’t use them on Friday or Saturday. I wasn’t completely sure I would use them for the Full, but I had my timer set up, just in case…but I started out just taking it easy and guessing at my intervals. Things were going really well, and I was kind of in a groove…keeping my eyes open for friends along the way. 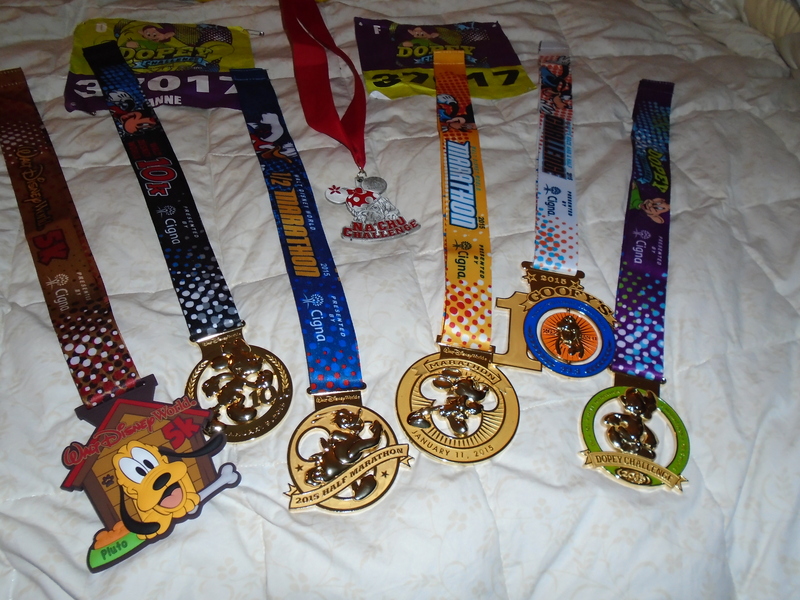 My big goals for today were to have enough cushion to ride Expedition Everest (about mile 12-13) and to not get swept! 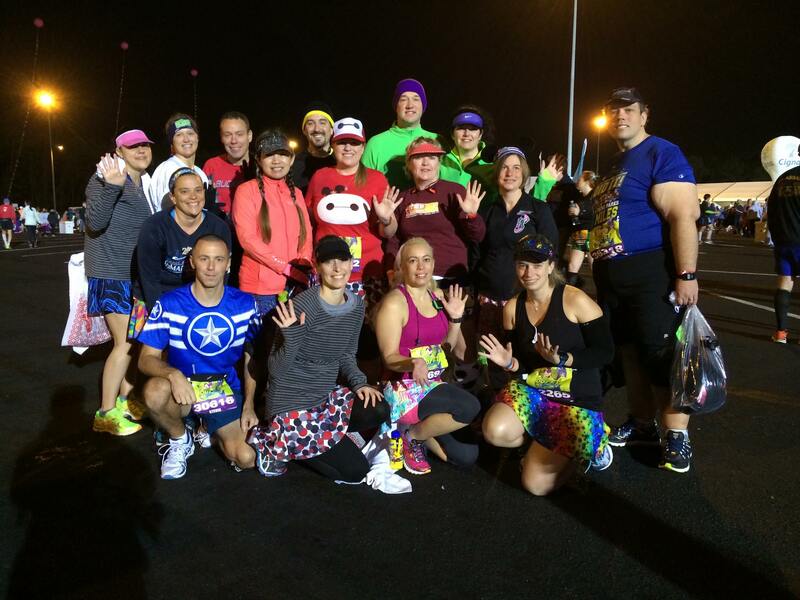 These lucky people are already at mile 9!! Running into the park “the back way” is kind of cool! 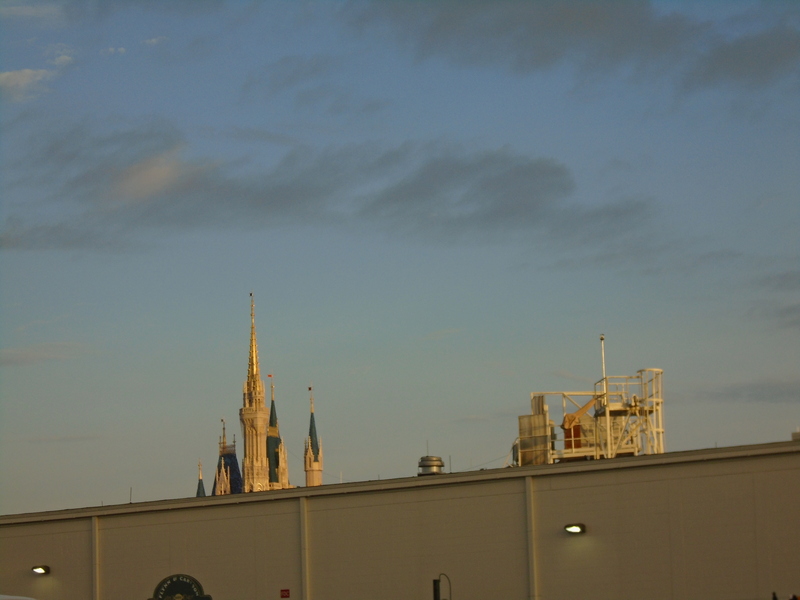 And from the backside of the castle too!! 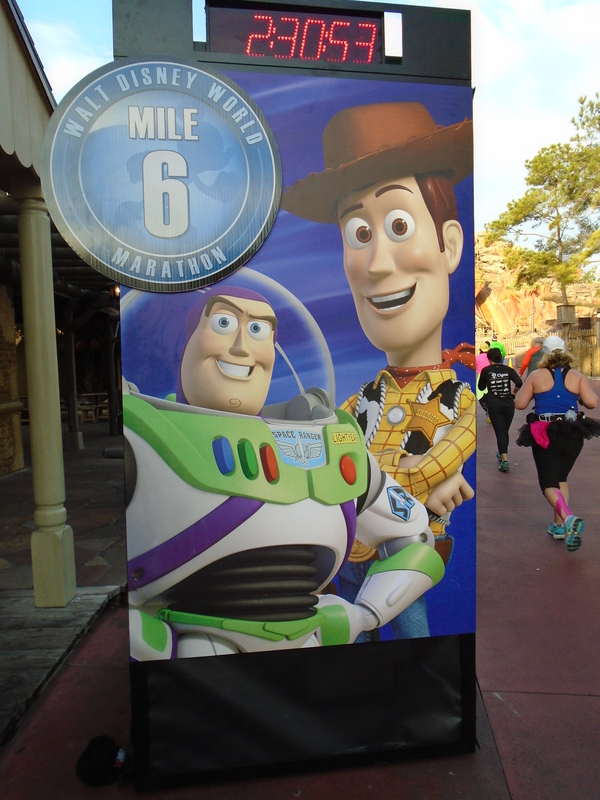 It was really great that the next mile marker featured Toy Story too!! Finally we were winding our way out of our first park — some boring miles until we got to the Speedway…and the clouds seemed to be getting thicker and darker. 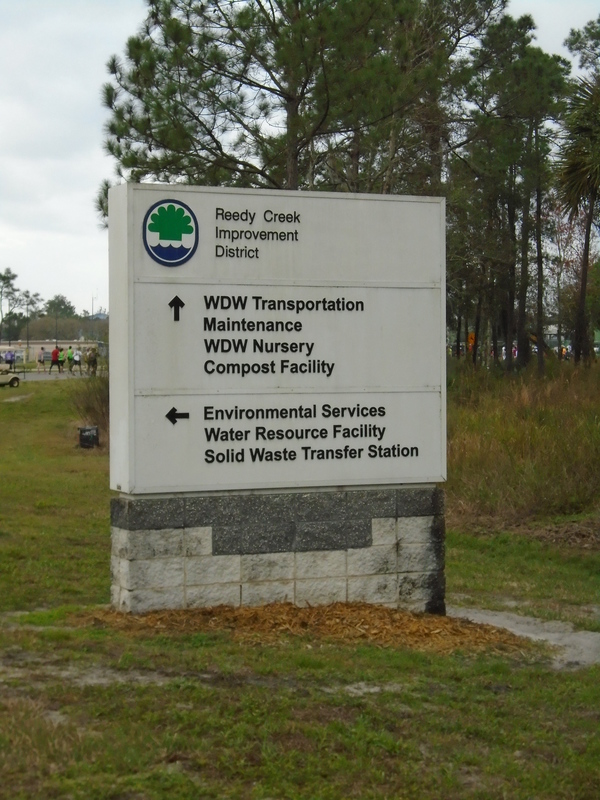 Around mile 10, on the way to Animal Kingdom, we run past the ever popular Water Treatment facilities for Walt Disney World! 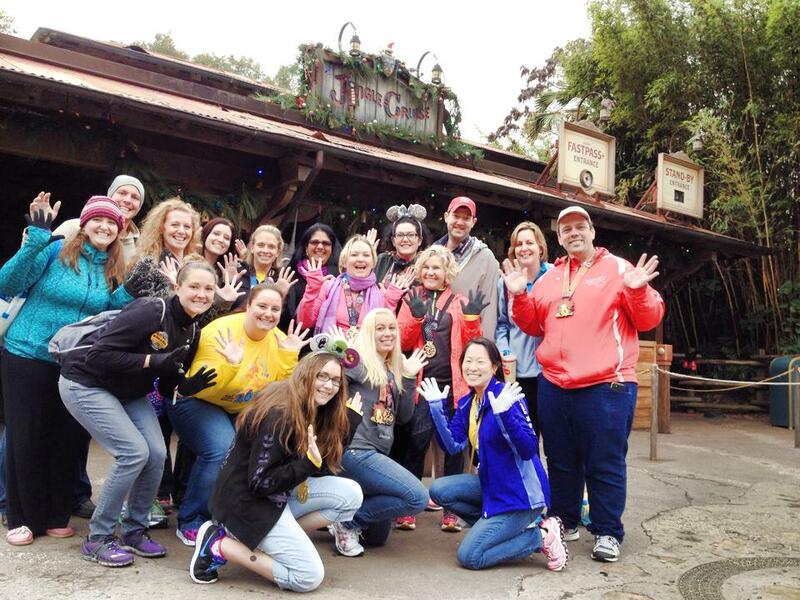 We come into the back side of Animal Kingdom and part of the fun is the animals that they bring out to cheer us on! And then. There it was. The mountain I’d been focusing on all morning! And, I was going to make it!! 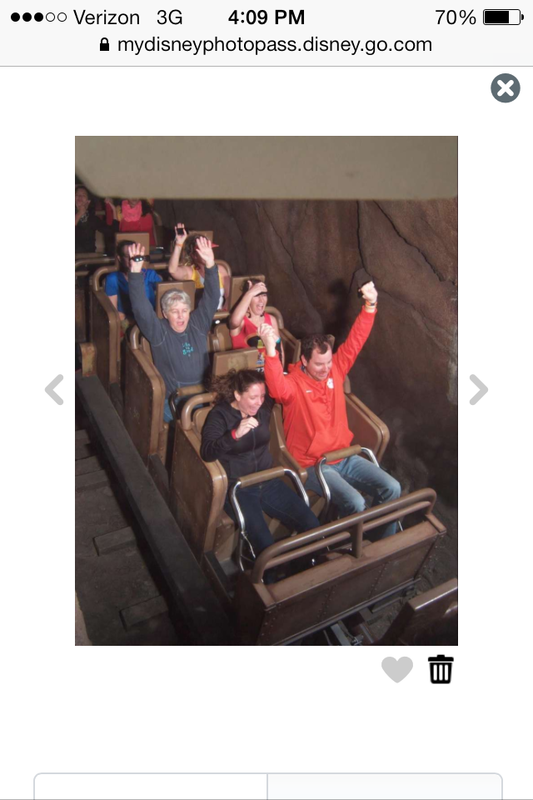 Research had told me to go in the Single Rider line – apparently in prior years, the cast members were pretty cool about letting runners get on quickly from this line. 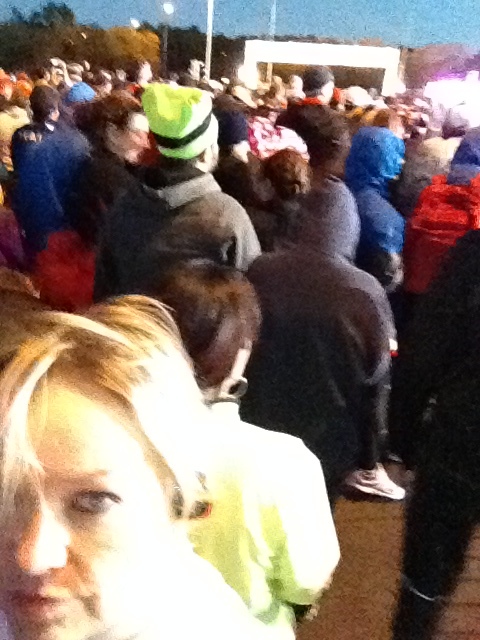 Apparently that was prior years….so a few of us waited. It seemed like hours, but was probably only about 10 minutes! And then we were off!! 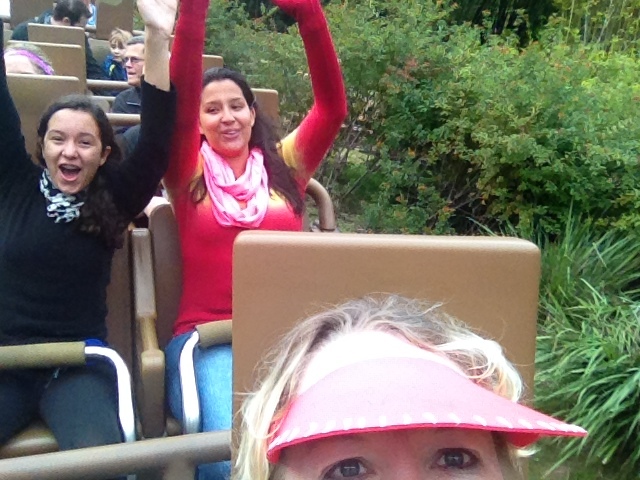 I got a great “selfie” of the girls behind me!! You can kind of almost see a little bit of my shirt…in the back seat!! As we ran out of the Animal Kingdom it started to rain. Not heavy rain at all…and it actually felt pretty good! We were now on our way up to the Wide World of Sports: ESPN. Now, here was an out and back section so I was REALLY keeping my eyes peeled for my friends who had started a couple of corrals ahead of me. The timing was about perfect so I figured I’d see someone! And I did!!! As I was turning into the road up to ESPN I heard Angela and Karin calling me! 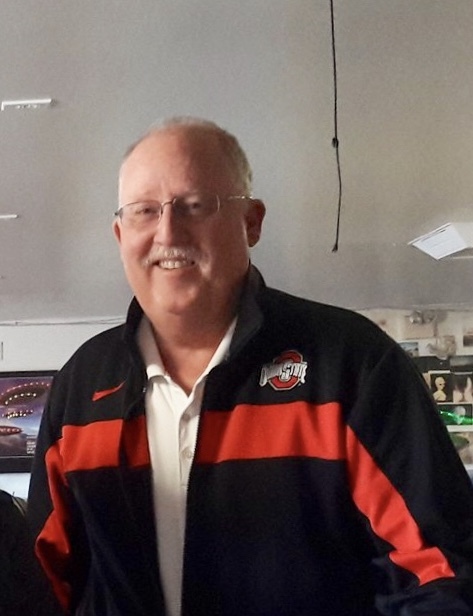 Man oh man – was it wonderful to see them!! 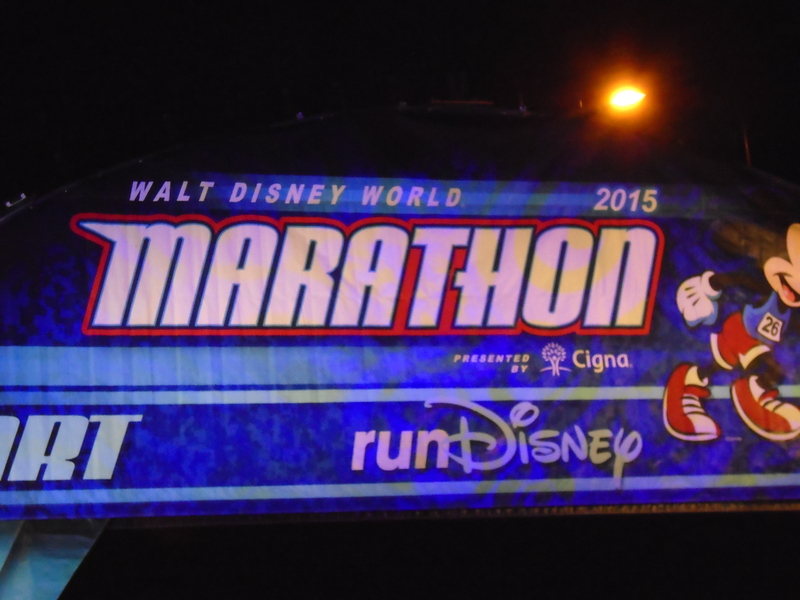 And of course there was a small bit of crying (I’m telling ya, this marathon thing is pretty emotional!) 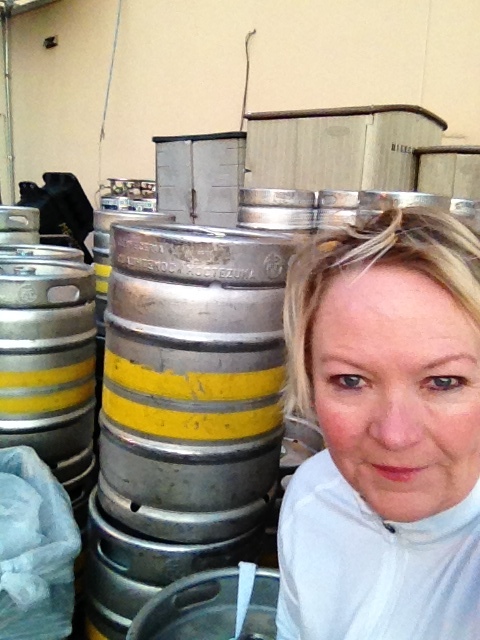 and then I knew that I was good for the next – LAST – 9 miles! 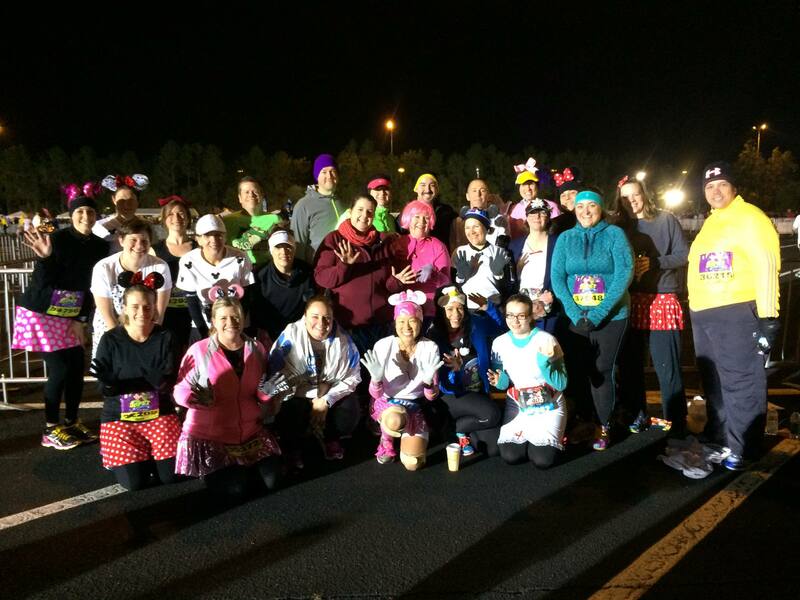 Up next, around miles 22-23 was Hollywood Studios! 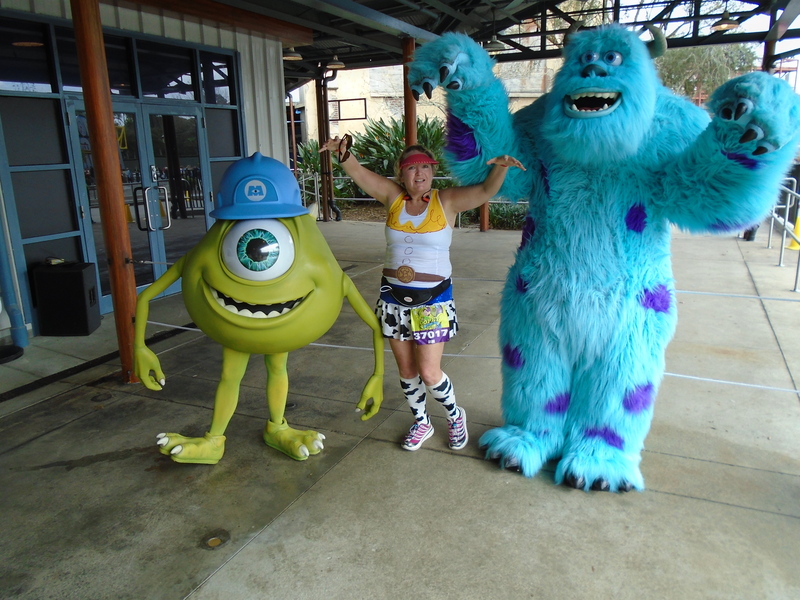 On the way there, I met up with 2 more friends and decided to hang with them the last few miles – until we got into the park and I saw Mike and Sully waiting for me! 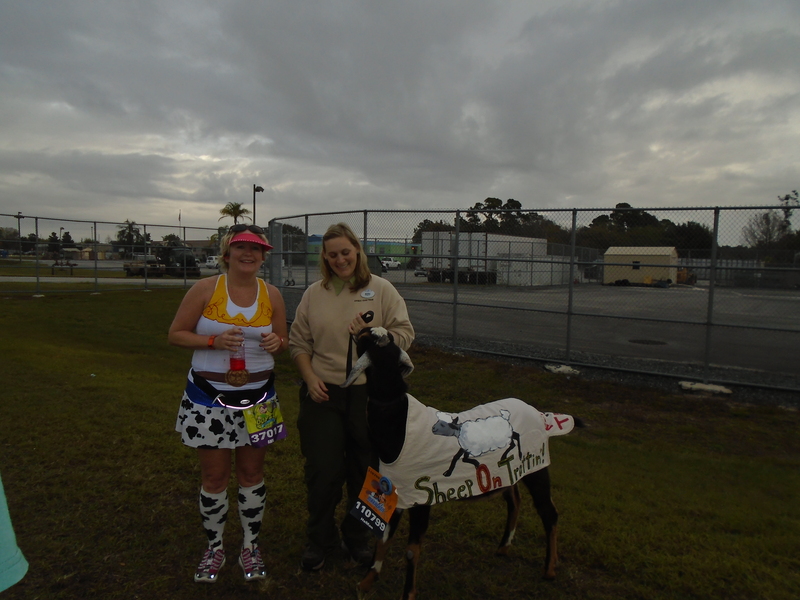 And a final potty stop before the final push to the finish! 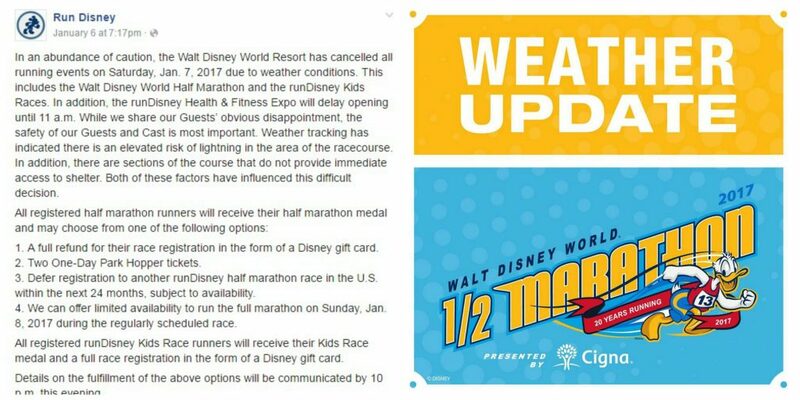 Once out of Hollywood Studios and on the path over to the Boardwalk, any danger of being swept is past. Which causes some people to just really come to a crawl…but I managed to catch up again to Chris and Krista and we stayed together until we got to EPCOT. You know you’re getting to the end of the run when you turn the corner to see the Gospel Choir singing in their golden robes! From here, it was another .3 or so to the finish line!! 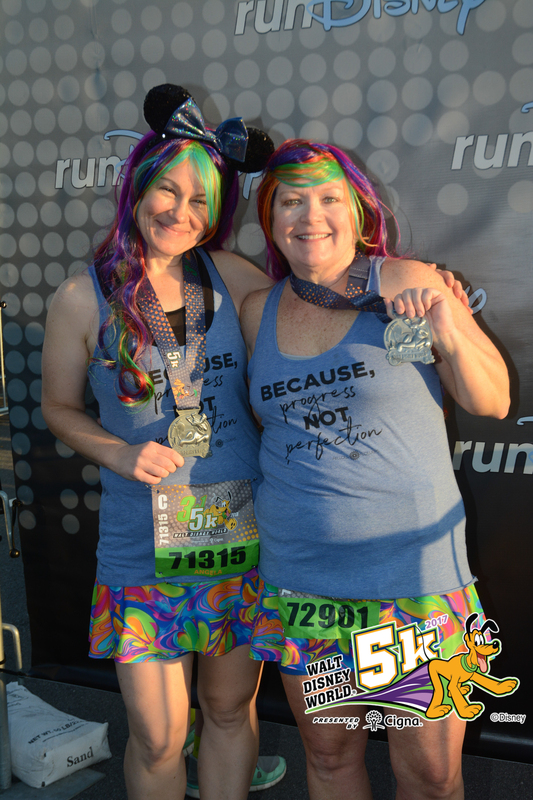 Once across the finish, Dopeys had to check in at a special booth – at the expo we’d had our pictures taken with our bibs and it seemed that they were comparing those pictures to the person in front of them, as well as verifying that all of the races had been completed. 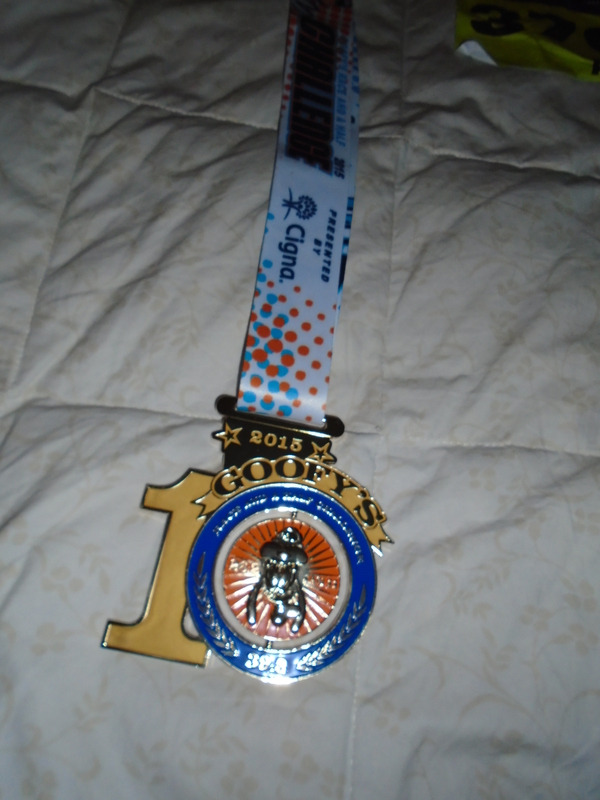 After that it was simply a matter of collecting the bling! Tracy arrived shortly after me, but wasn’t hungry so we headed back to the room – she was leaving that afternoon and I was heading out to dinner at the 50’sPrime Time Diner with my running family! I have to say, I was pretty proud of myself for getting through the weekend! 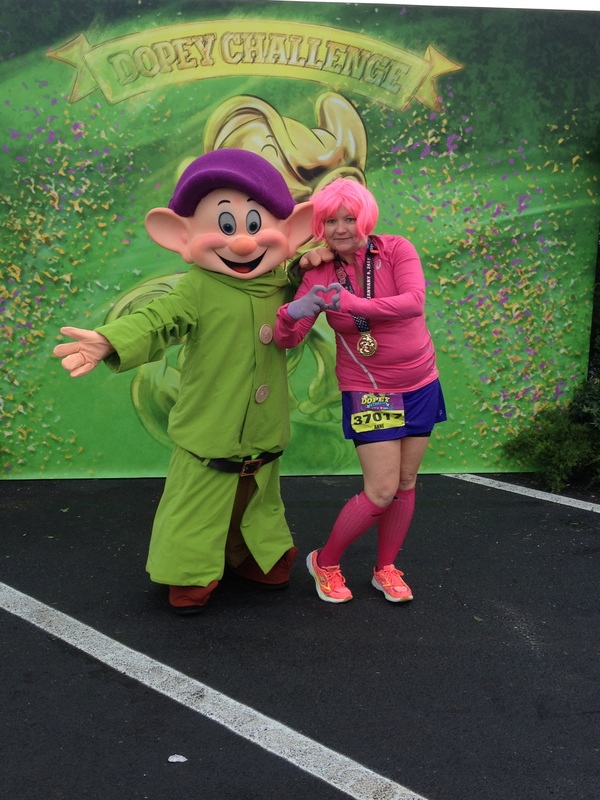 And, I had gone into the Dopey Challenge with those famous words “One and Done”…but ….I may be back. Day 2 of the Dopey Challenge happened to also be Day 1 of the Na’Cho Challenge – an added ‘bonus’ challenge supporting adoptabull – English Bulldog Rescue, Na’Cho being the name of one of our favorites!! 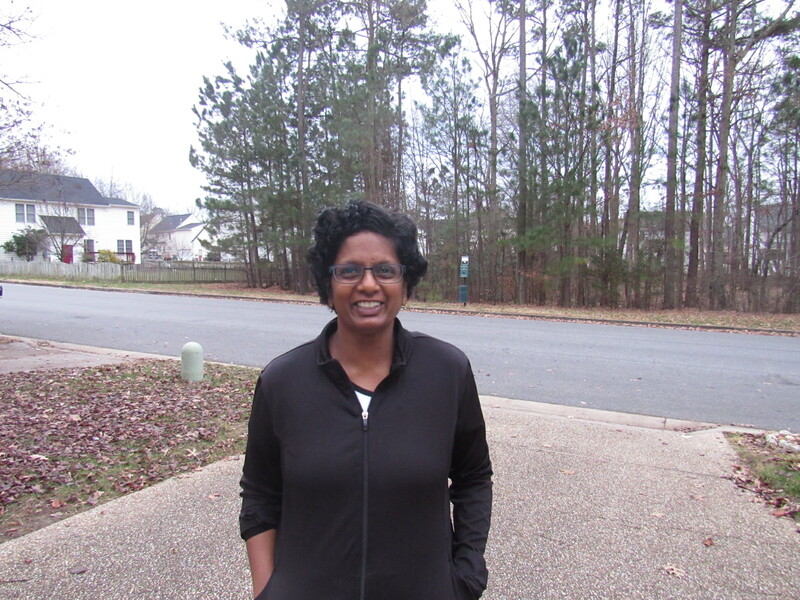 So, after being *slightly* unprepared for Thursday’s 5k – cold temps, forgot my music, phone died (okay, not ALL was my fault!) 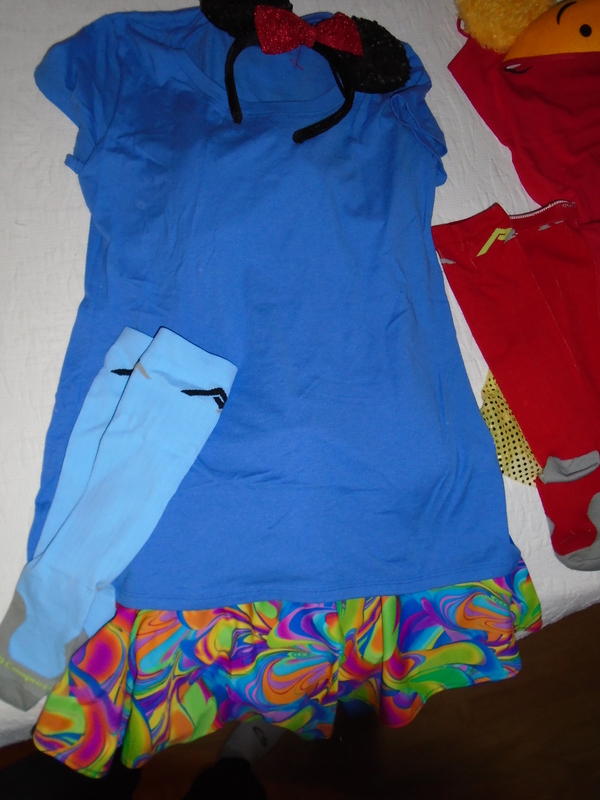 – I put most of my things together before bed, since we had to be at the 10K start even earlier! 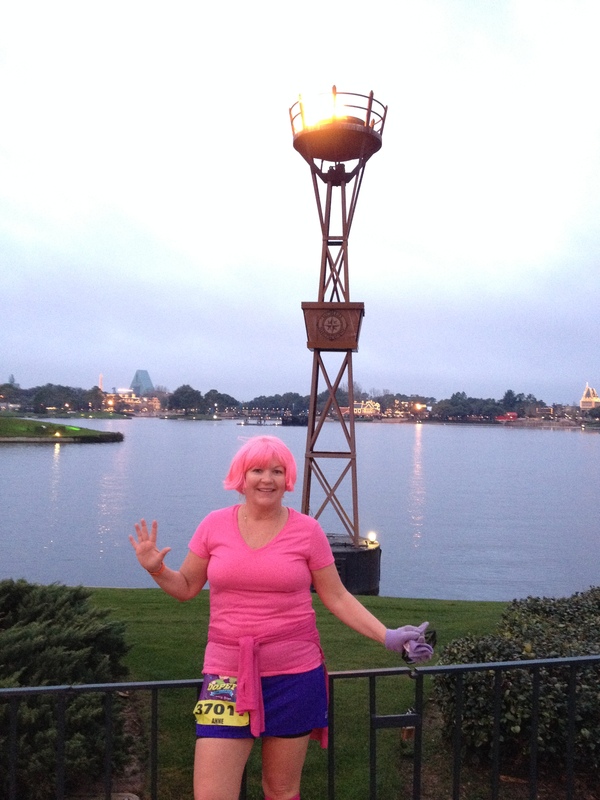 I was making an attempt at a PNK costume but put the letters under my jacket…by the time I warmed up enough to take off my jacket the letters weren’t sticking so good…so I was just in pink and purple, but lots of people “got it”!! Best Running Group in the World! before heading to the back BACK of the pack. 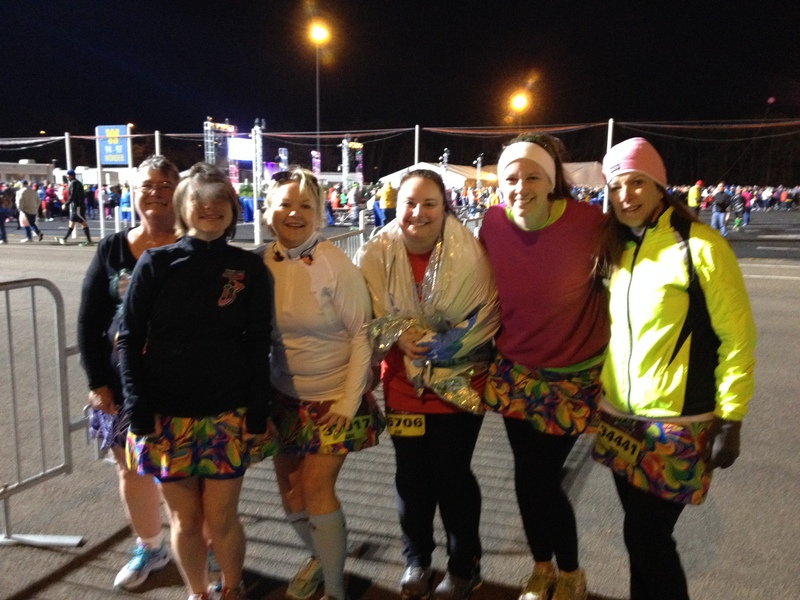 We smartened up a little though and made our way to the front of the back corral — every second counts you know!! 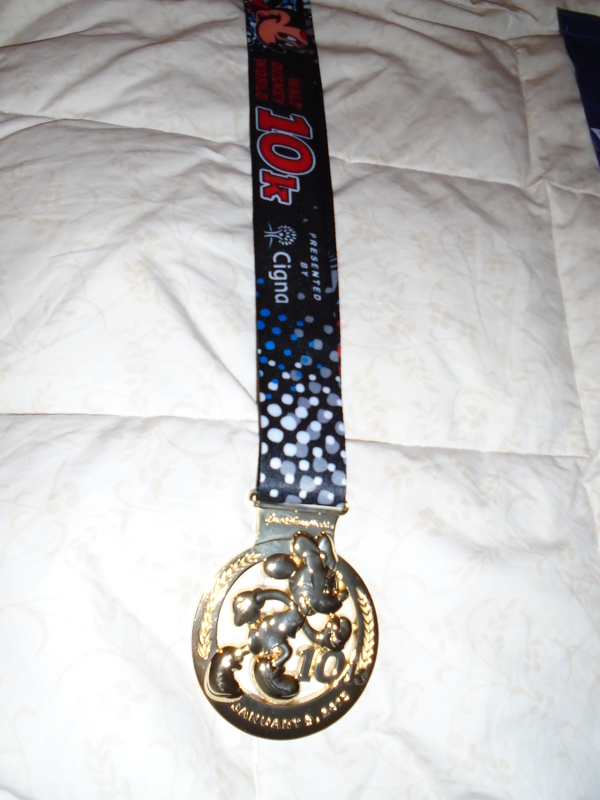 The 10K course is really not much to write home about…a lot of highway running then a trip through EPCOT World Showcase. 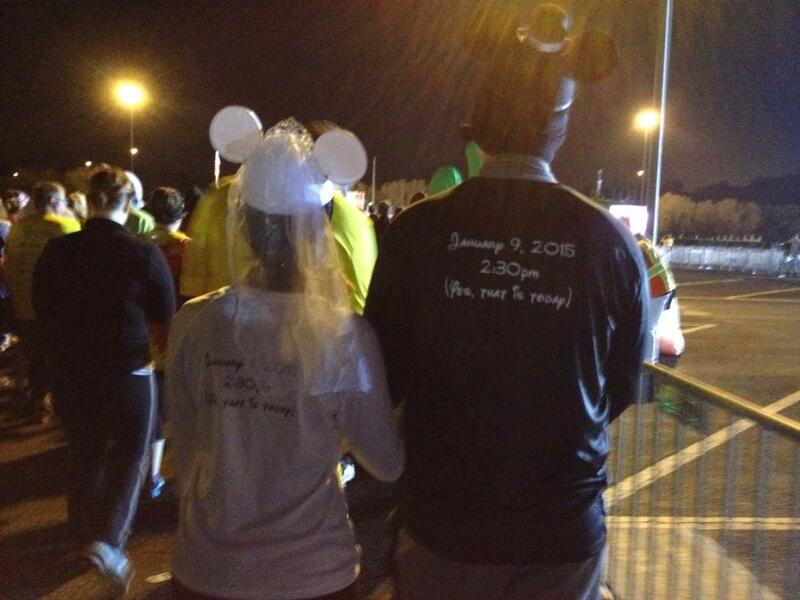 This cute couple was running in front of me most of the time — I tried several times to get a picture of their shirts but had to steal borrow this one from a friend. 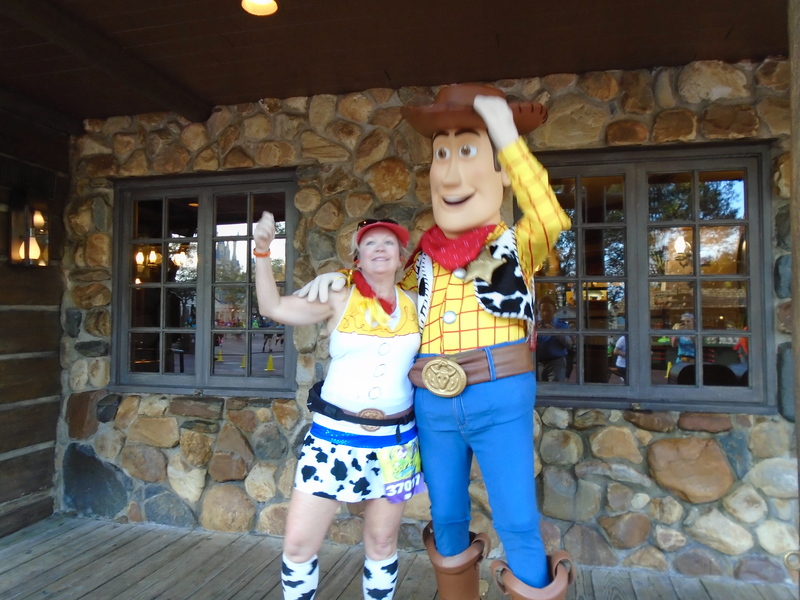 I wasn’t terribly interested in characters on the course – I had my mental list of who I HAD to get and…well, look who I ran into!! 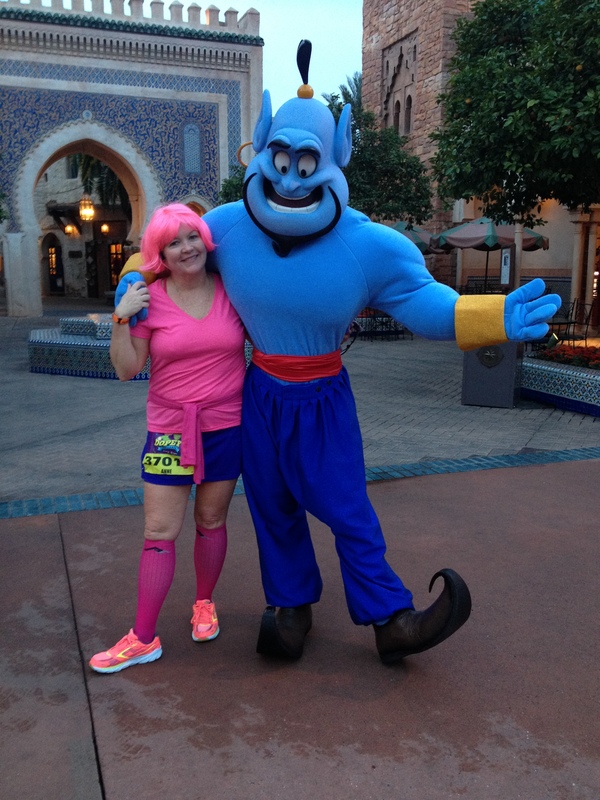 I thought it would be fun to post my splits — you can definitely see where I waiting in line for the picture with Genie. Well worth it!! 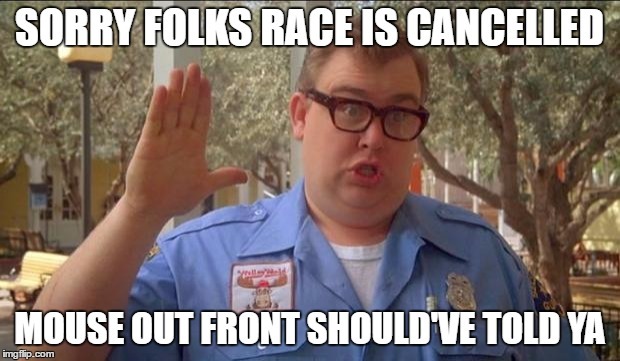 He’s the one character that I always MUST get out on the course! 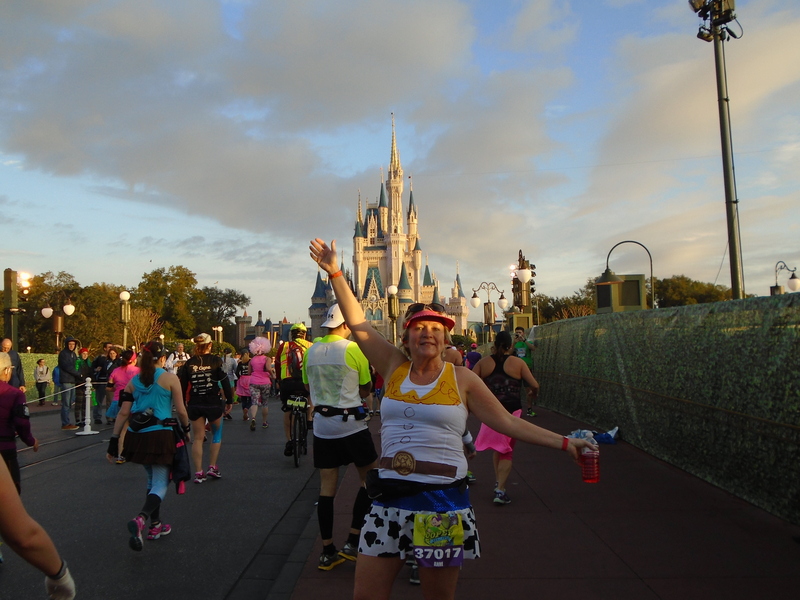 Post-race before I headed back to the resort I had one VERY important stop to make…. I still love you Dopey!! Tracy went on ahead and decided to go to Downtown Disney and I had plans with my RTD friends. 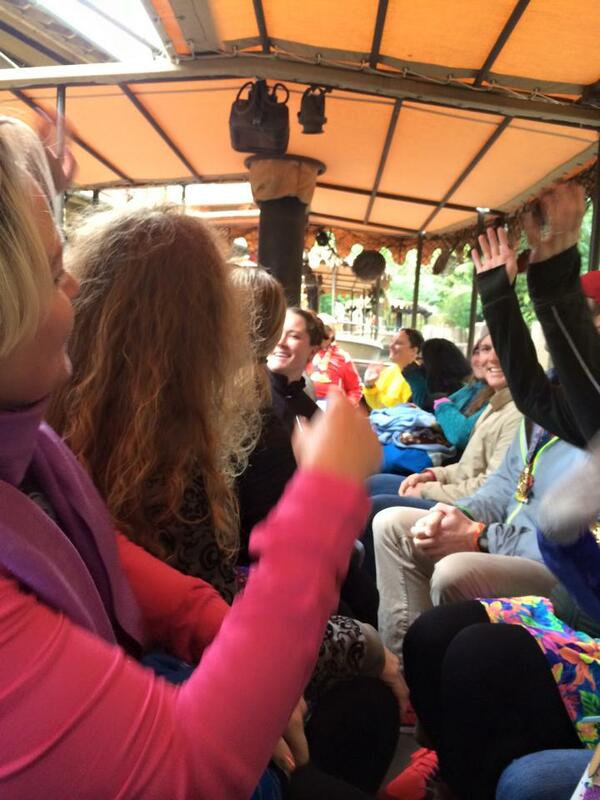 The Jungle Cruise of Epicness. Yeah…that’s right, we had about 18-20 people together who would be making this a cruise to remember for EVERYONE on board!! Let’s just say it was loud…and kind of chaotic!! But, man, was it fun!!! But, tomorrow was another long day, so after roaming around the park a bit with a couple of friends, we kind of split up and headed home…or…some stayed in the park to snack! 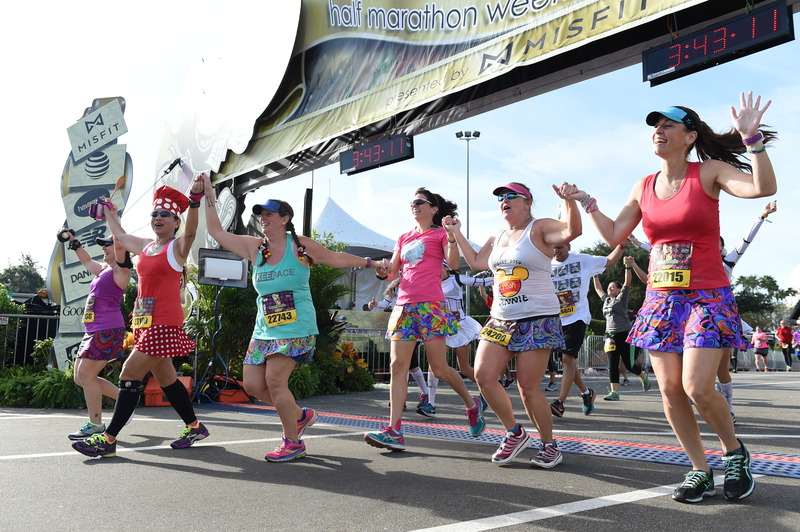 I headed to the Beach Club, grabbed a sandwich and got my things together — tomorrow, we had entry to the Race Retreat so the plan was to leave a little early and have our breakfast there before meeting up again! At least it would be a warm place to wait! 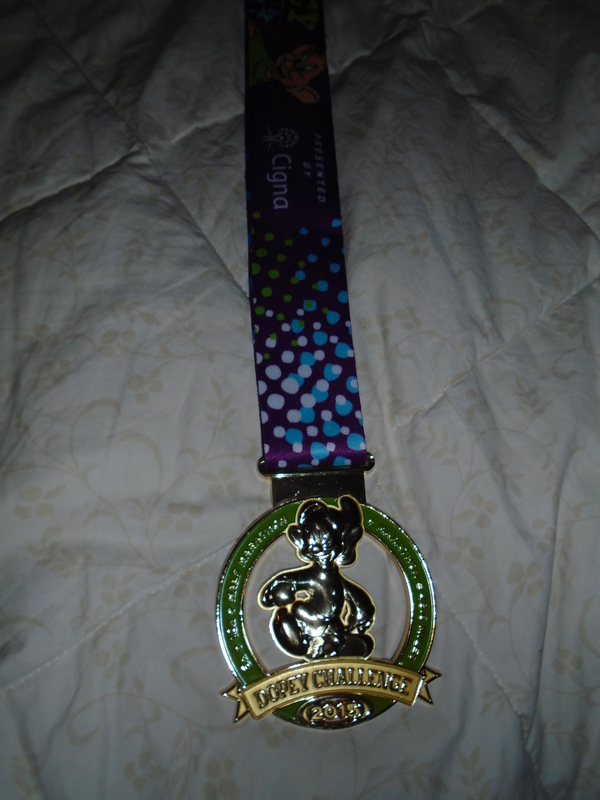 And, oh yeah, the most important part of the day – the bling! This one is Minnie’s Race!! 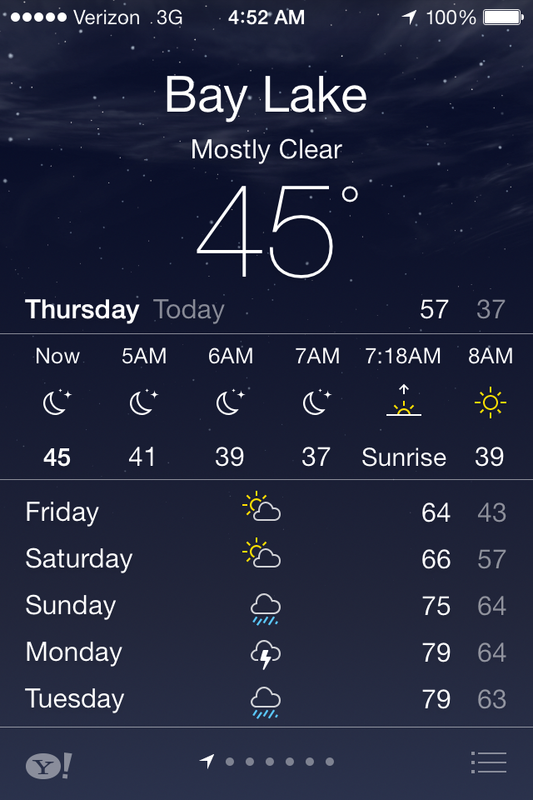 So, like I said, I was REALLY looking forward to getting down to Florida to hang out in the sunshine and warm air…Well. Yeah. Thursday morning we woke up to this 🙂 What you don’t see is that the “feels like” temp was somewhere in the 30’s. Which means that some of us were not as prepared as we should have been. 😉 Oh, I *brought* gloves with me, I just left them in the room! And with the 5K there would be very little time to actually warm up. I added a white jacket to this which helped a bit! We were planning to meet up with my Facebook running friends way out in the open where the wind was sweeping cross the plains (or something like that!). It was VERY windy! A few of us made it! 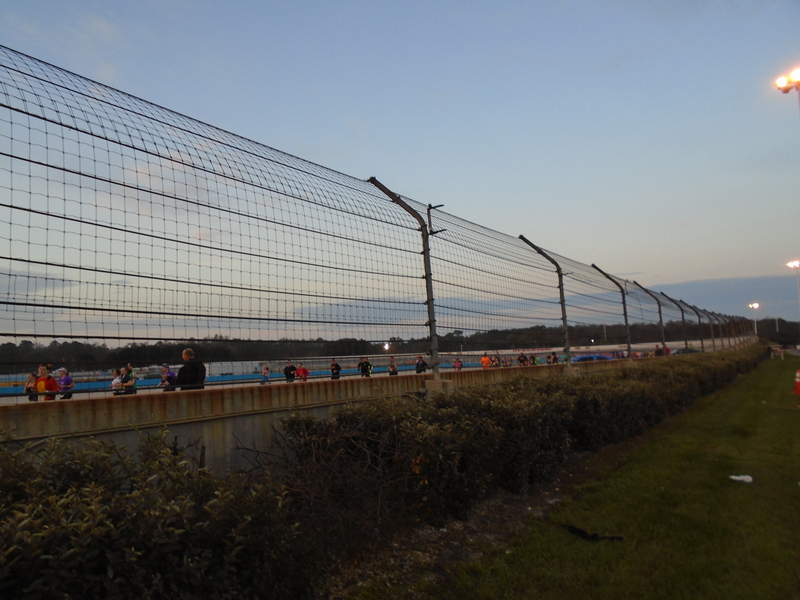 But then we went and hid behind a fence with a large group of warm bodies…I mean, people! 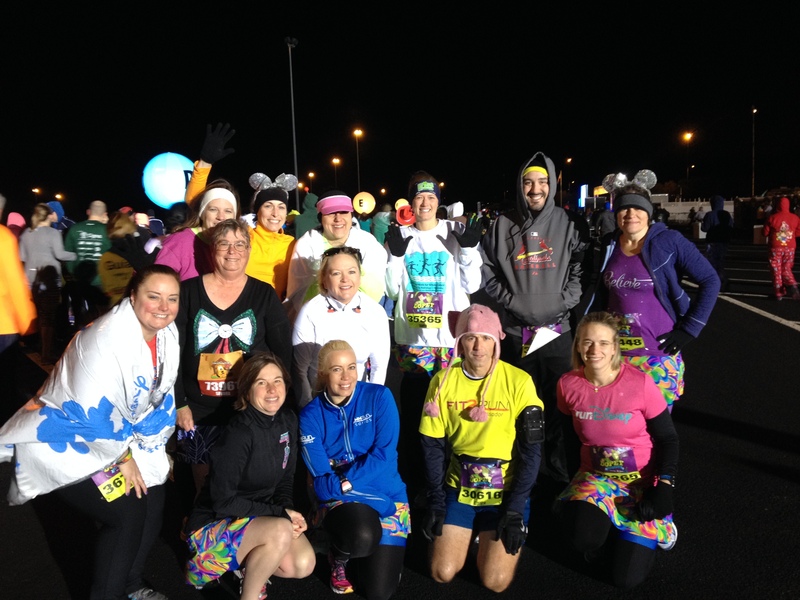 Then right before we headed into the corrals we gathered up a few more or our friends for one last pre-race picture! I had been placed in the last corral. The. LAST. Corral. 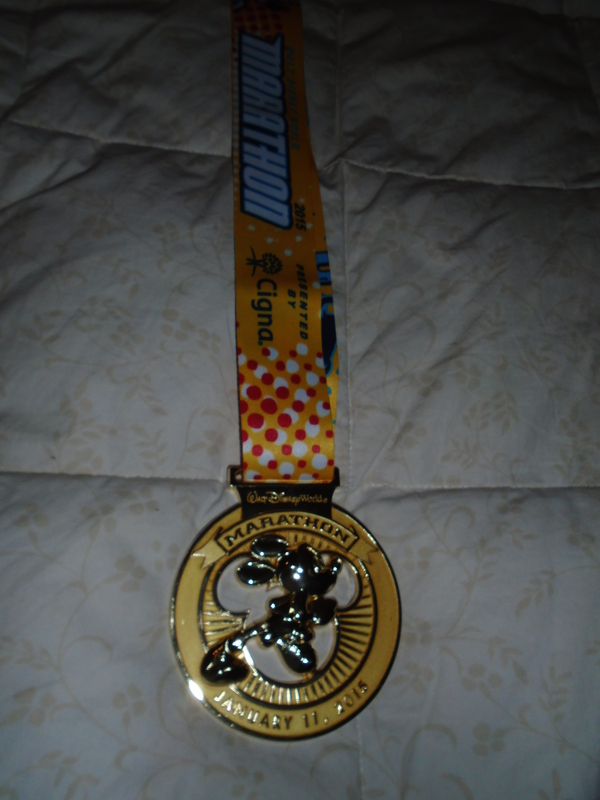 for the 5K and the 10K. Which, in the end turned out to not be too bad…once you got past the wheelchairs and people strolling along. We hung out with a couple hundred of our closest friends and listened to all the other corrals head out — but let me tell you, there’s a different excitement from the VERY back of the pack that I hadn’t noticed before! As we were taking off, the sun started coming up. This is always one of the best parts of these early morning races!! 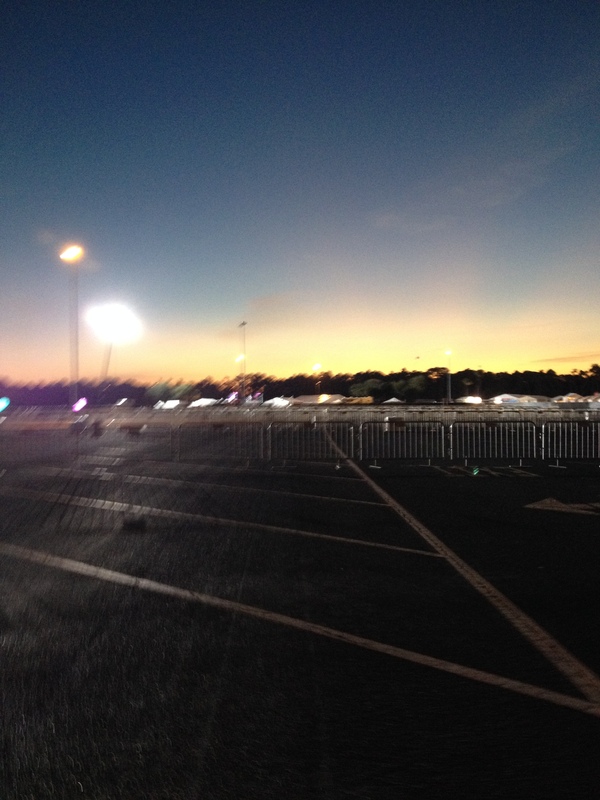 The earlier corrals…and then there were none. I managed to grab one picture before my phone died. 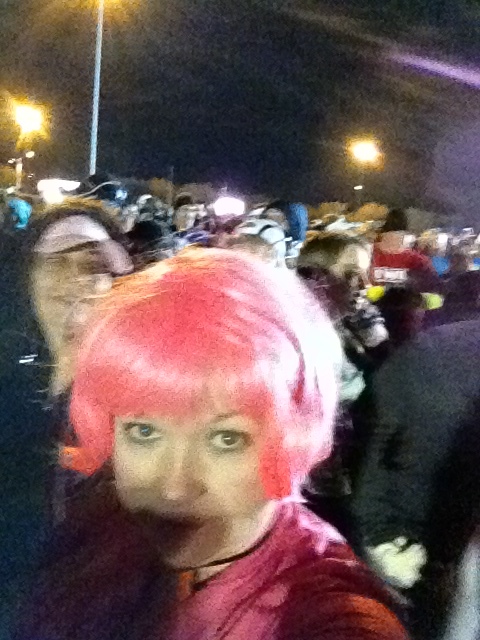 At mile TWO! (aside: Oh how I hate you iPhone!) but I hadn’t really planned many photo stops anyway! In honor of Vanessa…ps. they were empty. 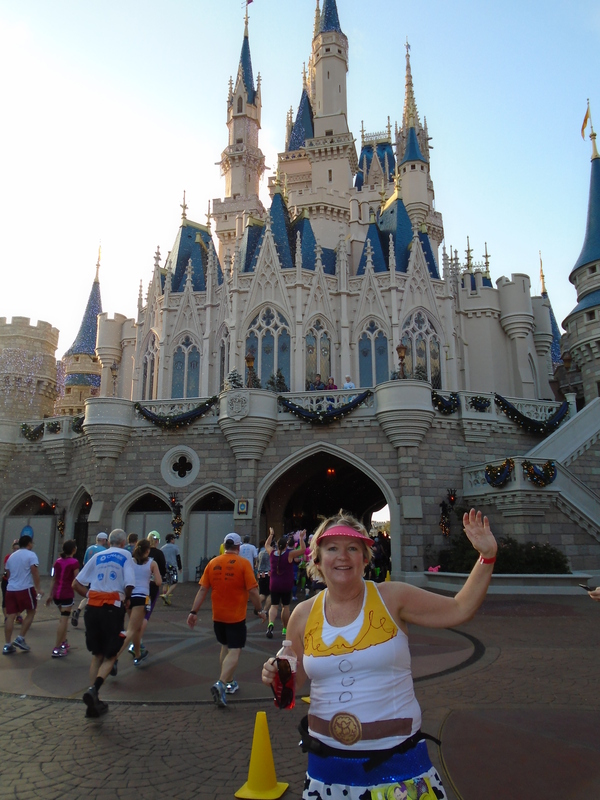 As we were cruising through Future World a few of my friends caught up with me and it was nice to finish with them! There were even jumping pictures involved…though, upon further review, my feet do not appear to have left the ground!! Since my phone died, I don’t have my splits but my overall pace was good and I was happy with the results! And I got to take home this baby! 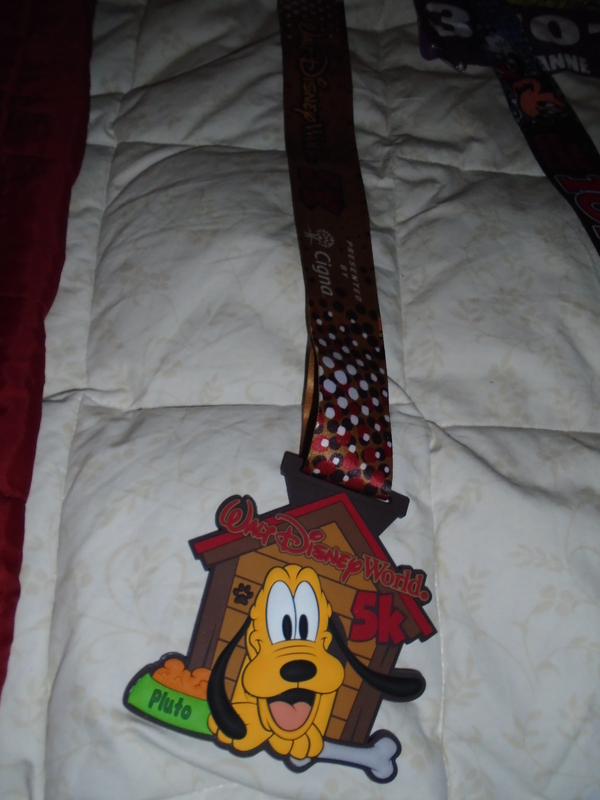 Possibly my most favoritest runDisney 5K “medal” of all!!! This makes me so happy! 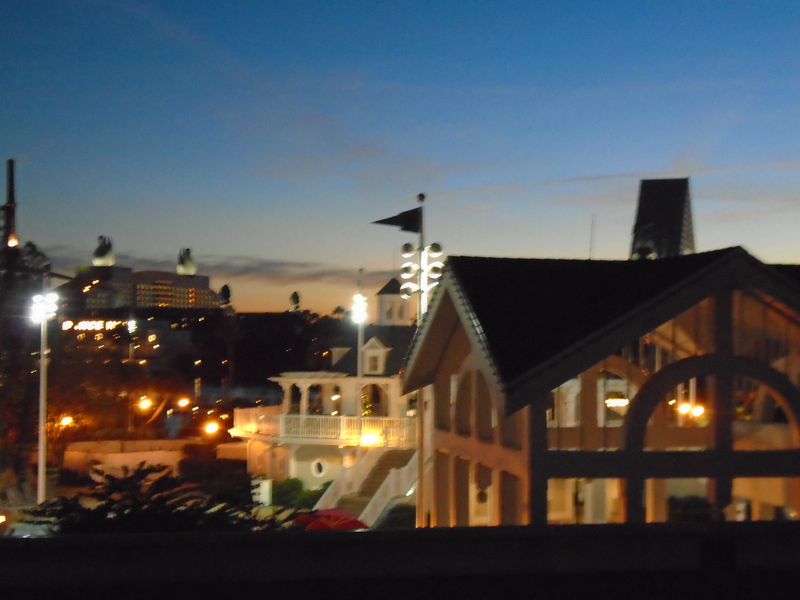 I’d never stayed at the Beach Club Resort and it was nice. And VERY conveniently located. 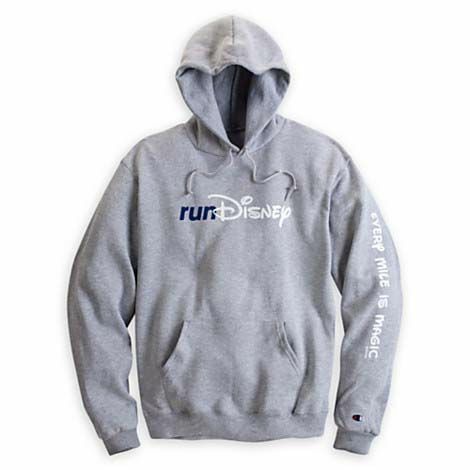 And really, in my case, reserved for VERY special occasions so…I’ll likely be back at POP Century before you know it!! Once it was dark, it was time for a shower and bed! I managed to crash pretty quickly, though it wasn’t a very deep sleep since I knew the alarm would be going off soon! !